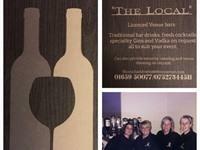 Welcome to "The Local", Fully Licenced moblie bar service providing for all your celebration event needs. We provide high qualtiy products and customer service to ensure you have the best possible experience. As well as traditional bar drinks we also provide, currently very popular, speciality Gins, liqueurs, and gorgeous Fresh Cocktails. Happy to travel within 50 mile radius to tend for festivals, weddings, birthdays, anniversarys and more. Why not add a little something special to your stay at Belton House. We are now pleased to be able to offer our guests Naked Buff Butler & Butlerette Services. 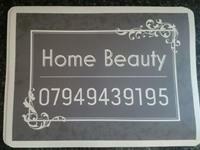 For prices and availability please contact us. Choose from the wide variety of naked butler and buff butler packages available for your birthday, hen party, hen night, hen do & other social event. Life Drawing package - Minimum of 12 guests. Why not pamper yourself in the comfort of Belton House and make your stay a liitle more special. 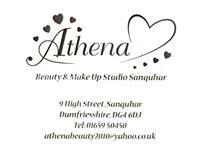 Please get in touch if you would more information or if we can help with any special requests. 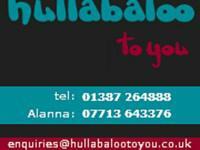 "Quality Caterers for Every Occasion"
At Hullabaloo T You we can cater any event large or small. We pride ourselves in creating innovative and eclectic seasonal menus from quality fresh produce, locally sourced whenever possible, which are tailored to each clients specific tastes. All dishes are made in house with freshness, quality and presentation of the utmost importance. 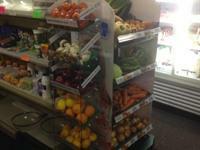 Licenced General Store selling everything from Fresh Fruit and Vegetables to Frozen Veg, Cold Meats, Home Made Lasagne, Macaroni, individual and family Steak Pies, cheese, bread, milk, Wine, Chocolates, Cigarettes, newspapers, logs, coal and kindlers. 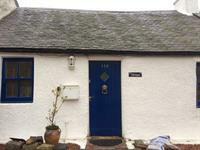 Nirvana Cottage is in Leadhills, a small village in a conservation area. It is nestled in a high valley in the breathtakingly beautiful Lowther Hills which are designated an ancient monument. The village has a long history with the neighbouring village of Wanlockhead, both of which were a major lead mining centreuntil the industry's decline in the 1930's. Nirvana is a traditional stone cottage built in the late 1800's and retains many original features. It sleeps four with one double bedroom and one twin bedroom. Living areas are comfortable with leather suite, freeview television, dvd player, wifi and a woodburning stove with initial supply solid fuel included. A well equipped kitchen with gas hob/electric oven, microwave, slow cooker, washing machine and dishwasher. The shower room comprises of shower, w.c. and wash hand basin, and a heated towel rail provides a touch of luxury. The secluded garden at the rear of the cottage is ideal for that summer BBQ or to simply relax in this tranquil setting. Underfloor heating throughout the cottage, along with a wood burning stove and electric heaters ensures a cosy interior even in the depths of winter. Electricity, towels and bed linen are all included. Dogs are welcome but please be aware that there are sheep in the area so dogs must be kept under control at all times. 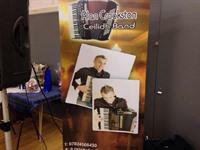 Experienced Ceilidh band based in West Lothian and Central Scotland available to book for all functions. All dances called and disco can be provided. We have played the length and breadth of the country at numerous functions and have been well received. Why not pamper yourself in the comfort of Belton House to make your stay a little more special. Lilly offers Manicures, Pedicures, Gel Polish, Acrylic Nails, All Area Waxing, Tinting, Make-up, Eyelashes, Facials and Relexology.